Hold down the throttle lockout, then squeeze the throttle control. 2. Check Your Power Cord. Make sure your electric pole saw’s cord is connected to the extension cord, and that the extension cord is connected to a power source. Loop the cords, too. So if one gets snagged, you won’t lose power. 3. The GFCI May Have Tripped. Reset it by pressing in that little button on the outlet until it clicks. Check the corresponding breaker in your electrical panel. 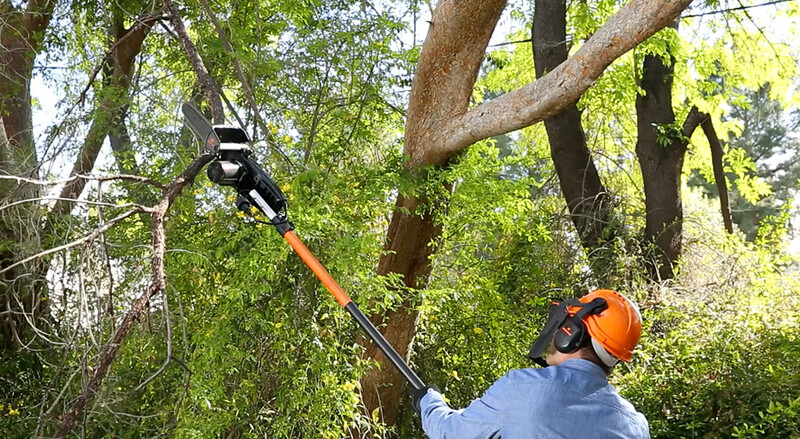 Have a different issue with your Remington electric pole saw? See the Troubleshooting section in your model’s manual.